Author of Digital First, Speaker , Digital Futurist. By 2019, worldwide spending on digital transformation initiatives will reach $2.2 trillion, an almost 60 percent increase over 2016, according to market intelligence firm IDC. This will be a billion-dollar bet for your organisation or company in the making. The next billion-dollar companies will surely be the ones driving digital as the mainstream business to head-start their value proposition in the market. These five constructive steps could help grow your business in the digital age. “If you went to bed last night as an industrial company, you’re going to wake up this morning as a software and analytics company.” —Jeffrey Immelt, CEO, GE. So as always we say, it is not too late yet! Yes, there are tremendous opportunities which still exist to penetrate your ideas and services. Don’t panic by seeing the competitor’s growth or let startups seize your thinking. Believe that you will have your way! The year 2017 will be the year of ‘Digital Headstart’ for most of the industrial and product-aligned organisations. They know it’s now or never, so where are you now? 2. Reimagine: With acceptance aligned along need for change, its makes you feel comfortable as you’re open to reimagine your vision. As the first step, get your digital business blue print kick-started. This would be the integration of your people, business and things that would enable you to transit from a physical to a digital environment. It’s evident today how digital health service providers reimagined the health care market which positioned their product to track health through intelligent monitoring systems. Build your strategy—knowing your own capability and capacity, with your risk-taking appetite. Bring in the same energy and passion that you had when you started your business. Drive forward with themes like ‘New org’ Strategy or One Digital Strategy or Fall Forward Digital Strategy. This rewards you as a CEO to drive and integrate various digital thrust areas creating a clear & ‘ONE’ vision for your employees. 3. Building a digital ecosystem: Build your unique ecosystem based on the organisation’s business priorities, in-house capabilities and futuristic vision. The best way to build the ecosystem is to start from your employees—culture the organisation right from the start, drive it boldly with themes like ‘Digital is not an option, it’s mandatory’. This will drive employees to think and act digital in every task they perform. Secondly, your value proposition to customers, providing the best customer experience (CX) should be on top of your ecosystem. This should be driven with a non-revenue-based mindset, so as to provide valuable, brand affectionate CX, eventually the revenue will be a byproduct. Companies providing a better and higher quality of customer experience attracts the loyalty of consumers. Apple is a classic example of quality, precision & CX. Though the products are expensive compared to competitors, we do witness the madness during the launch of any new Apple product. According to Forrester, 72 percent of businesses say improving digital customer experience is their top priority. This clearly signals the formative nature of the Fourth Industrial Revolution, where bringing the digital, physical and biological systems together will create a better customer experience. The key building blocks of your digital ecosystem are IoT platform, data & analytics, social & content platform, intelligent systems (AI, machine learning), digital infrastructure and aligned cyber security most importantly digital talent and business model enabling a great customer experience. 4. Create a new market: The evolution of technologies with the fast-tracking leap of innovation will require a dynamic business model to create your new value proposition. This eventually takes you to create a new market in the glaringly intensive competitive environment. SpaceX’s Elon Musk recently made an announcement of their plan to send two tourists to the Moon before the end of 2018—a bold, ambitious move. Technically, this might be made possible and be successful as well. He has created a new market, so possibly by 2030, we could see this market which would have been growing big with lot of players competing for their share. Even today, Jeff Bezos’ Blue Origin is giving a healthy competition to SpaceX, all this will make an affordable proposition for us to travel to the Moon, sooner! Another well-proven model is Uber, which disrupted the traditional way of using taxis, a full-fledged digital solution, combined with excellent customer experience (CX). This disruptive model has moved people away from contacting humans to completely rely on a digital platform. In an essence, this indicates whether you want to be creator, leader, follower or partner in the digital race to survive and scale up your business. 5. Risk & governance: Technology will continue its foray in mainstream business to drive and grow the business. Now, the invasion of artificial intelligence, Internet of Things (IoT) and other innovations have also invited the inherent risks and cyber threats from within. The 2016 US Presidential Election is a good example to think about the influence of cyber-attacks and the impact around it. Defusing information theft will become top priority for many organisations. As the businesses grow, adoption of technology and addition of new devices is inevitable. 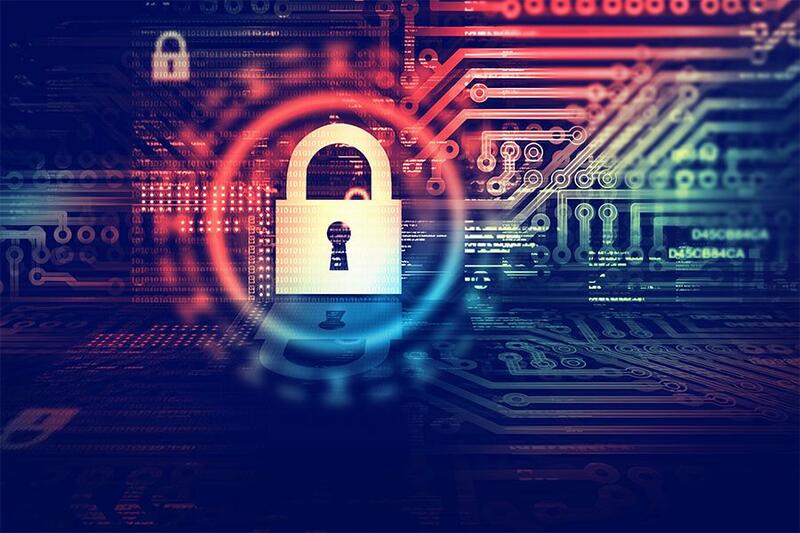 Gartner says by 2020, 60 percent of digital businesses will suffer major service failures due to the inability of IT security teams to manage digital risk. As your organisation transits to the digital business, it’s arguably more important to set a robust risk and governance structure, than completely focus on talent and technology. Foraying into the digital business brings you a unique opportunity and positon in the market, but the long standing of your product/service completely depends on two key factors 1. Product innovation 2. Customer experience. If that match is true, you’re indeed set to create a respectable and a billion-dollar entity. Robotic process automation: is it really scalable?